Yes, I know this is a poster for Fuurin Kazan done on NHK Television in Japan, and I did watch every single eipsode and loved it. Also, the picture gives me the visuals for when I write. Hirata and Sho were inspearable as children. Their shared world was everything to them. Even when Sho went blind from illness, nothing came between them. Until the day Sho’s parents, wanting their son to have opportunities in life other than remaining homebound, send him away with a representative from the Blind Men’s Guild to apprentice as an anma, a masseur and acupuncturist. Though Hirata and Sho were only ten when they were forced apart, Hirata swears a promise he will one day find his friend. Which he does, seventeen years later after a long journey that nearly robs him of his will to live. The anma, the blind masseur, who was coming to take Sho away, trudged toward them. Hirata watched the man approach from where he stood, Sho on his left side, Sho’s parents nearby and his own mother and father on his right. The anma appeared harmless enough, dressed in a kimono and cloak, his calves wrapped in gaiters, feet in tabi socks and dirty rope sandals, guiding himself in slow, measured steps, with a long cane. But to Hirata, he might as well be a demon because in just a few minutes, he’d leave again, taking Hirata’s heart with him. Sho deserve the fate to which both his own and Sho’s parents were tossing him. Hirata glanced at Sho who stood motionless at his side. Of the two of them, Sho had always been the quiet one, saying very little, revealing nothing. Though they were both only in their tenth year, Sho always seemed much older. Sho couldn’t see the anma, only hear his footsteps in the dirt of the road, but the way Sho’s hand returned Hirata’s grip told Hirata without words, the way his friend felt. Terrified. After today, there would be no more scampering on the rocks along the river, or climbing trees, or sword fighting with the wooden stocks from his father’s training school. Even after Sho had endured the illness that left him blind, Sho still did everything that Hirata did. 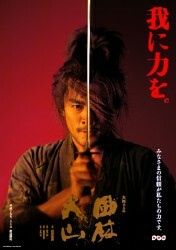 In fact, the intensity of their play was heightened by Sho’s sharpened senses, which compensated for his loss of sight. Sho could hear sounds from miles away, long before a sighted person could hear them. And Sho could smell things from great distances, things that only a ninja or highly trained spy could probably smell—emotions. He and Sho were exactly the same age and since Sho’s parents worked as servants in his house, there was never a time he and Sho had not been friends. Hirata stepped in front of Sho, pushing his friend behind him, still gripping his hand. “I won’t let them take him!” He glared at his father. Isn’t that what a samurai was supposed to do? To protect the one whom his heart was sworn to serve? Sho might be a peasant, but only because no one clearly saw him. If they really knew him, they’d understand he was more noble than any daimyo, even the shogun himself. Sho’s mother and father stood nearby, watching them. Sho’s mother’s eyes shone with tears but Hirata didn’t care. If they loved him so much, they shouldn’t be giving him away. The anma had nearly reached them, his trudging steps growing ominously closer. Hirata stepped back, forcing Sho to step back behind him. Sho gripped his hand, Hirata felt, as much for balance as for protection. “His destiny is with me!” Hirata felt hot tears crowd his eyes. He fought them back. He’d never been able to control his emotions as a proper samurai should, and he wasn’t able to do it now. Especially when he was losing his best friend in the world. They might never be together again. “Father…please.” His voice fell to a whisper. Hirata’s glaze flew to the older man, whose closely shorn head glinted with silver amongst the ebony stubble. The anma called Ichi opened his eyes, just for a moment, revealing only whites before sliding his lids closed again. Hirata’s heart lurched. If Sho could see this man, he’d run away in fear. Then again, if Sho could see him, the anma wouldn’t be here in the first place. A new wave of grief-filled terror washed over Hirata. “No!” he cried. Yanking out of his father’s grip, he dragged Sho and broke into a run, off the road, back toward his father’s compound which housed their home, the servants’ quarters and his father’s dojo. Sho tripped and stumbled on the raised stones of the pathway but recovered quickly each time. Hirata led him to their hiding place, a space underneath the house. “Get under here, Sho.” He guided Sho, who willingly dropped to his hands and knees and crawled underneath the raised platform of the house’s floor and scooted between the heavy timbers that supported the house. Hirata crawled in after him and herded him closer to the center. No one would find them here. Perhaps if they hid long enough, Sho’s parents would give up and let Sho stay. Hirata pulled Sho close and held him, panting from the sudden exertion. Sho was breathing heavily too. Hirata stiffened at his father’s voice. No doubt, he’d shamed his father by his behavior, but he didn’t care, not if defying him meant Sho could stay. Hirata squeezed him firmly. His father’s voice was drawing closer. Did his father know about their special hideout? “Let him punish me. Nothing else matters.” He bent his head close to Sho’s ear. “The stone can never be separated,” he whispered, referring to their special stone, the smooth disk Hirata had picked out of the stream during one of their outings, not long after Sho’s illness and recovery. Hirata had placed the stone on a larger rock and broken it in half with yet a third rock, giving one half to Sho and keeping the other for himself. As long as they were together, the stone was still complete, even though it had been split. “Neither will I,” Sho said. “I promise.” He squeezed Hirata’s hand. In that tiny gesture, Hirata felt that Sho, the wiser, maturer one of them, was speaking, telling him that his father was right. Destiny would reign over them. Not Hirata’s desires. Or Sho’s. At the edge of the house, Hirata’s fathers’ sandaled feet came to a stop. Hirata clamped a hand over Sho’s mouth. “No. I apologize for my son’s behavior, Ichi-san. Postponing will only make it worse for both of them. Hirata’s brother-in-law came running up. “Father, I’ll get them out for you.” He dropped to his hands and knees and crawled underneath. “Stay back, Ken,” Hirata said, squeezing Sho tightly to himself. But Ken had never had patience for Hirata’s emotional outbursts even though he always treated his young brother-in-law with respect. He honored his father-in-law more. “Honor your father’s wishes, Hirata. This behavior is beneath a samurai,” he said and grabbed both Hirata’s ankles in an iron grip. Hirata struggled and kicked, but Ken was stronger. After a short battle, Hirata felt himself being dragged out, bringing Sho along with him in his fight to hang onto his friend. The second Hirata was out from under the house, he was back in his father’s grip and Sho was pulled from him. Ken pried Sho’s tightly fisted hands from Hirata’s kimono. Hirata’s father held him fast while Sho was led away, his head bowed. Sho’s hair had pulled from its tie and long strands of it hung loose around his face. His kimono was dirty and rumpled from the struggle. Sho turned, his sightless eyes staring in a different direction even though he faced Hirata directly. Hirata saw the track of tears on Sho’s cheeks. Sho waved and then turned, letting the anma guide him back to the road, to where his parents waited to say good bye. “I’ll find you, Sho. I promise.” Hirata whispered. His father held him tightly until Sho was long gone down the road.